Music Lab was an action research project delivered from 2011-13 by Sage Gateshead, and funded by the National Endowment for Science and Technology and the Arts (NESTA). 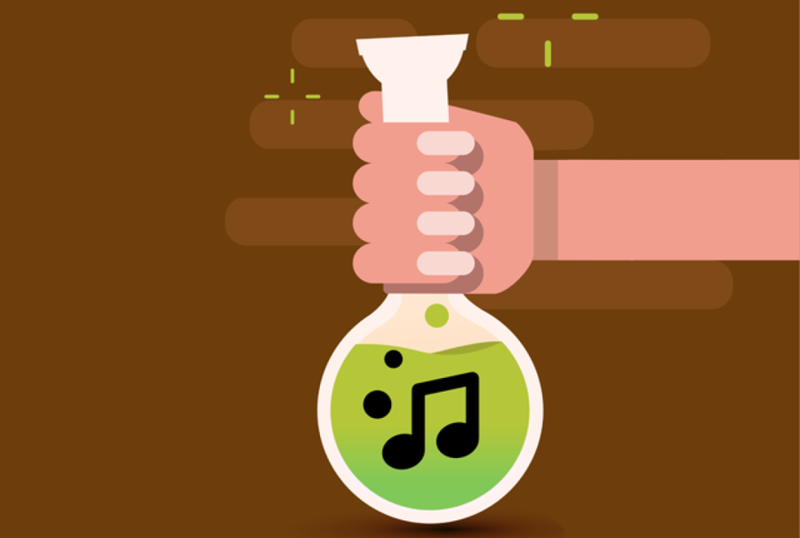 Music Lab was a piece of action research conceived by NESTA and Sage Gateshead, to explore the possible mutual learning between approaches to Science and Music education, in the hope of better understanding what makes learning engaging for KS3 students in STEM subjects. Its central enquiry was, ‘How can teachers and musicians work together to improve the learning of KS3 students in STEM subjects?’ It involved 4 Sage Gateshead musicians working with teachers and school staff from 4 different secondary schools in the NE in what we referred to as ‘school research partnerships’. The form of their investigations took very different forms, from exploring the notion of ‘performing’ Science through to working with Science teachers to actually perform music as a steel pan ensemble. Camlin, D.A. (2013). MUSIC Lab. [Online]. 2013. Available from: http://prezi.com/yfayvfd3rlwl/music-lab/. Camlin, D.A. (2014a). Music Lab. Music Lab. [Online]. Available from: http://davecamlin.com/music-lab. Camlin, D.A. (2014b). Reflective Dialogue. Music Lab. [Online]. Available from: http://davecamlin.com/music-lab. Cooper, B. (2013). Music Lab Evaluation Report. [Online]. Sage Gateshead. Available from: http://davecamlin.com/music-lab.